Hello craft people! Today I am sharing a layout I made using the November Bad Girls Couture scrapbook kit, Joie de Vivre. You can purchase the kit HERE. I've always loved the way that a light blue or teal accents red- it makes both colors simply POP. I started by tearing the papers and then giving them a white wash with the Bad Girls Couture white Gesso- this is a high quality gesso- it's thick, but not too heavy, and it can easily be diluted for white washing, and splatters without compromising the the integrity of the coverage of your projects. Next. 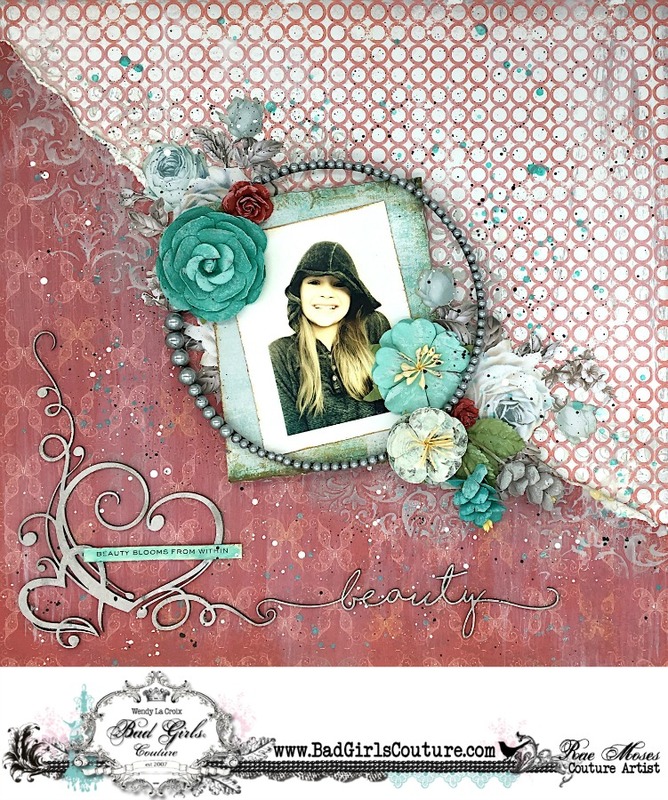 I added some stenciling with the Prima stencil from the kit- I used modeling paste from my stash, and then lightly added the old silver wax paste over the stenciling for the background. 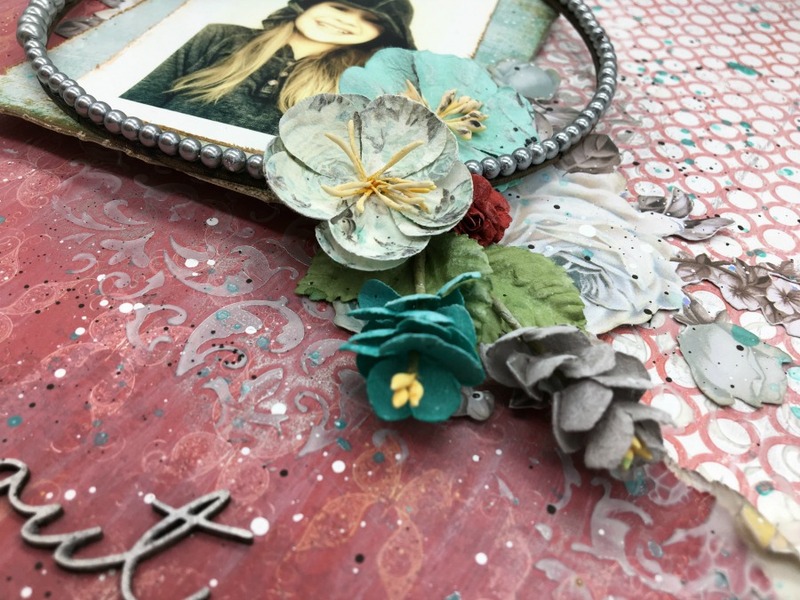 This closeup above shows how the mixed media is used all together. I added some India ink in black, and also some teal mist for splatters. You can also see part of the chipboard title that I added some of the Prima silver wax paste to. 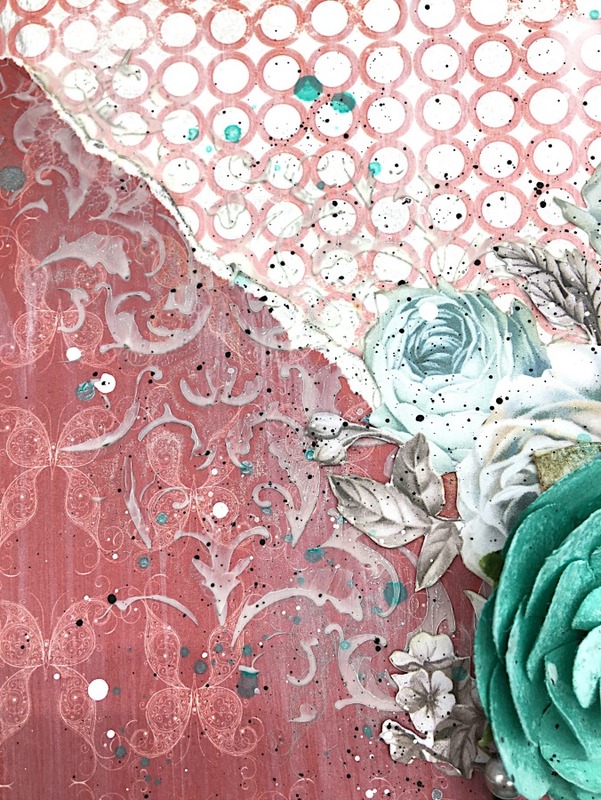 I fussy cut some of the roses from the Zella Teal paper to give some more dimension to the floral clusters. To mat and frame the picture, I used the packaging from the resin frames from the kit, and used a scrap piece of chipboard to create the circle frame using the silver beads from the kit. Thanks for taking a peek at my layout today. 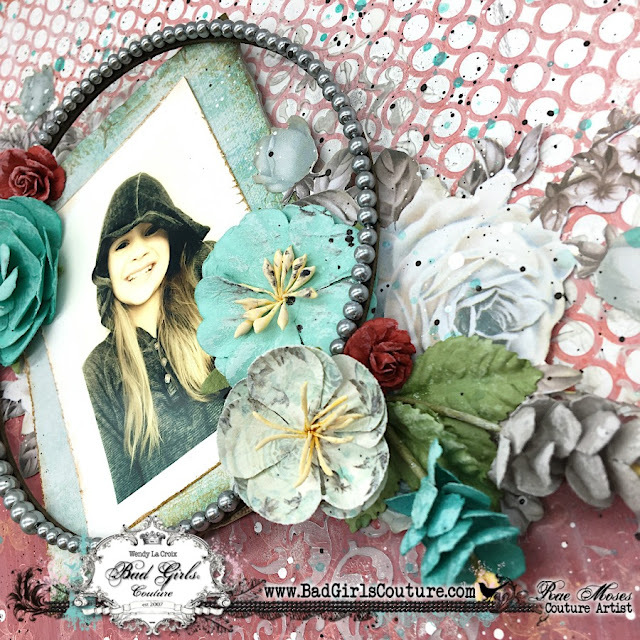 You can see what the rest of the ladies came up with for the challenge on the Bad Girls Couture Blog today.